Da da da-da-da-da da da. Da da da-da-da-da da. Da da da-da-da-da da da. TEQUILA! It’s surprisingly tough to translate a nonsensical song into nonsensical text – especially when you’ve started the party early and downed a few shots of the sweet stuff. But we think we did a pretty good job. Now we just have to get you in on the action. So without further ado or a da da dumbness, here are the best spots in Las Vegas to slide back some tequila this Cinco de Mayo. 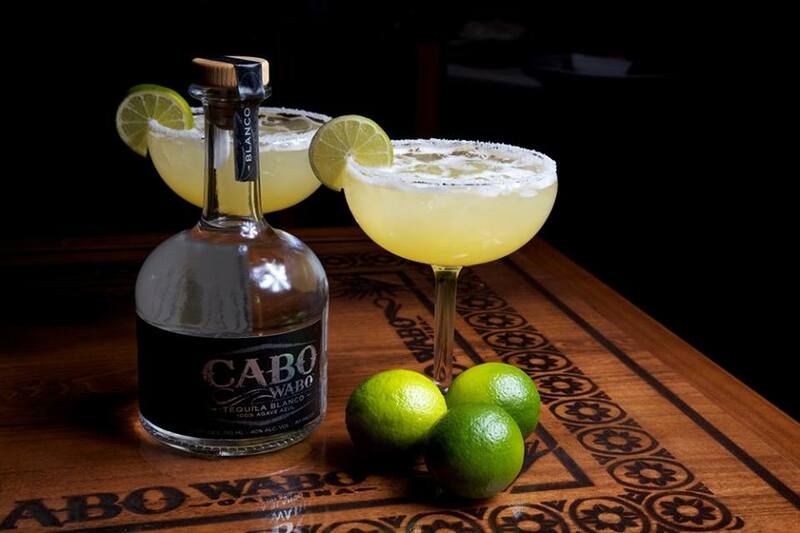 Cabo Wabo tequila makes us feel cabo wonderful. Photo courtesy of Cabo Wabo. Cabo Wabo is like a party within the already party-like Miracle Mile Shops at Planet Hollywood Resort & Casino. It’s a place for laid back fun that expects nothing from you but a healthy tip. In addition to their extensive list of tequilas, Cabo Wabo offers its own label tequila in blanco, reposado and añejo varieties. And for the adventurous, rebellious or just anyone who likes stuff named after the devil, Cabo Diablo is the finest of the Cabo Wabo tastes. Pure blue agave tequila hits with hints of coffee for a smooth yet fervent flavor. If you want a modern tequila that won’t set you back too much but might make your soul tingle, this is the spot. 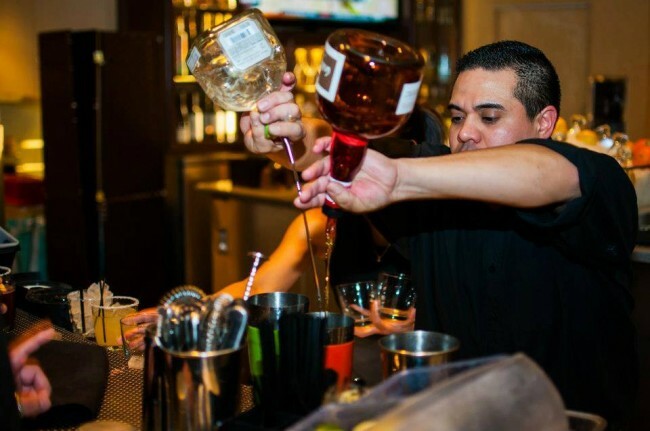 Pouring tequila is our kind of job. Actually, being that cup that gets tequila poured into it is our job. Photo courtesy of Cañonita. Cañonita is located in the Grand Canal Shoppes at the Venetian. You’d expect the spot to be dominated by Italian food, given it’s the Venetian and you’re a cobblestone’s throw from a gondolier. But Cañonita says no to assumptions and offers up fantastic “Mexico City soul food” for all. 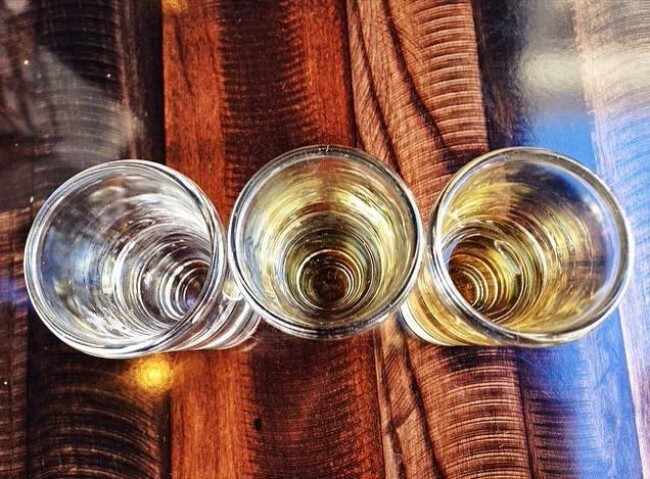 But we’re here to talk about the tequila, and they have some of the best. We stopped counting at 50, but the list went on. What really makes Cañonita amazing is the expertise. Whether you’re new to tequila and think blanco is that green dude from Street Fighter or you’re an old expert who’s too busy browsing the long list of añejos to get that Street Fighter reference, the crew at Cañonita will take care of you and get you the tastiest tequila this side of Venice. A very artistic shot of tequila. We can drink them all with no hands. Can you? Photo courtesy of Chayo. Like everything at The LINQ Promenade, Chayo Mexican Kitchen + Tequila Bar is a place for sharing and socializing. The menu features tapas as well as full dishes to be split or horded for yourself because they’re that good. And the tequila list has all your favorites in shot or margarita form. But they also serve some exceptional top quality products like Don Julio Real, Patrón Gran Burdeos and Casa Dragones. You can also score Don Julio or Patrón flights, which bring the price down and the alcohol in your tummy up. For a lively time drinking great tequila with friends or people you just met, head to Chayo at The LINQ Promenade. And on Cinco de Mayo they’ll have $7 Patrón shots, so enjoy that. It's a monkey. Look at the ears. Photo courtesy of La Comida. 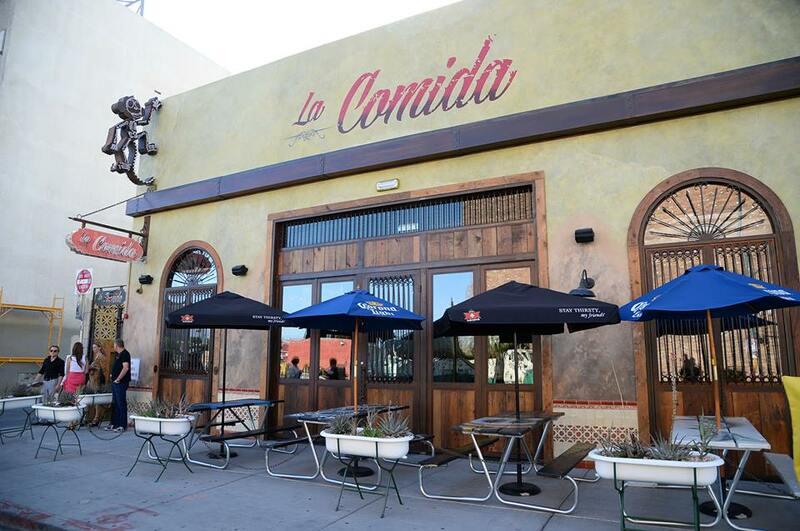 La Comida lies downtown just off Fremont Street. 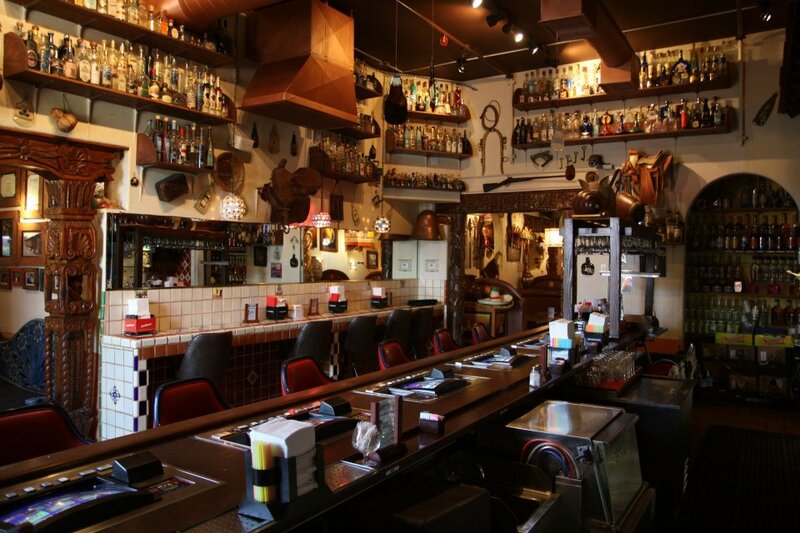 It’s a locals’ favorite for its friendly atmosphere, superb food and truly magnificent tequila selection. On Fremont East you can get a lot of liquor, but the quick step to La Comida is necessary if you want tequila. They’ve got Jose Cuervo for $7, Gran Patrón Bordeux for $100 and about 100 tequilas in between. They even serve Alien Tequila, which is headquartered right here in Las Vegas. When downtown Las Vegas inevitably makes you thirsty for tequila, just look for the skeleton sign hanging outside La Comida. And remember that the skeleton is a monkey with a long tail not a human who’s doing something dirty. This place even smells delicious. We realize that doesn't really help you when you're looking at a picture, but trust us. Photo courtesy of LIndo Michoacán. If you’re looking to get away from the Las Vegas Strip and enjoy some gourmet Mexican food with your tequila, Lindo Michoacán has three locations throughout Las Vegas – east of the Strip, west of the Strip and south of the Strip. They have live entertainment in the evenings and a full menu of Mexican favorites. And they’re consistently voted among the best restaurants in the city. The tequila list is massive and the margaritas are some of the best in town. For a more family-friendly and less party-driven environment – a place to take the kids and grandma while you knock back tequila shots – Lindo Michoacán is the spot for wholesome, family boozing. And on Cinco de Mayo they’ll have party favors, mariachi and girls serving drinks – something for everyone. See? Cotton candy. We're not liars after all. Photo courtesy of Hussong's Cantina. Hussong’s Cantina is another tequila bar that has a full food menu – as well as a particularly delicious vegan menu. We’re pretty sure all the tequila is vegan also. In addition to the classic tequilas and flavor infusions like apple and mango, Hussong’s offers a wide range of specialty margaritas. The romance margarita is a 64-ounce strawberry-banana drink that serves two people. The PB&J margarita has muddle blackberries and peanut button on the rim. And the cotton candy margarita is literally poured over cotton candy. 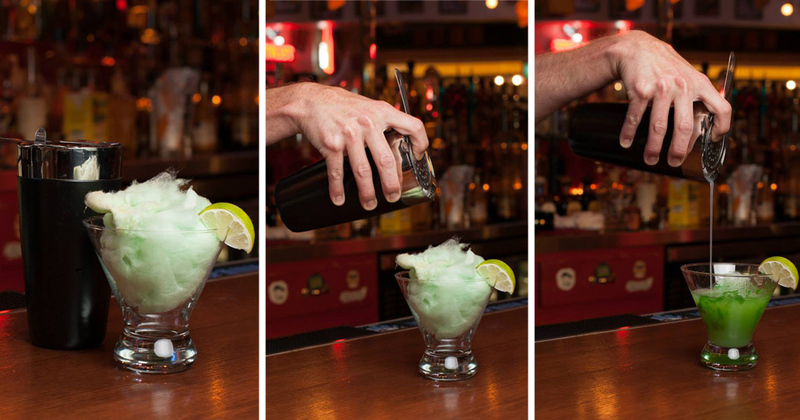 So get over to the Shops at Mandalay Place and try some tequila mixed with the most delicious ingredients people can come up with – and cotton candy. Look at all that tequila. Can we... can we live there? Photo courtesy of Tacos & Tequila. Tacos & Tequila, or T&T as the cool kids call it, is a rocking Mexican restaurant inexplicably located in an Egyptian-themed hotel – the Luxor. Juxtaposition aside, T&T has a delicious lunch and dinner menu as well as margaritas and a huge list of tequilas. They also have some of the best flight options around that are named for things we aspire to be like Artist, Lover and Matador. OK, we don’t really dream of being a matador, but the flight is exquisite. You can also try a vertical in which you sample one brand’s blanco, resposado and añejo versions of tequila, or a horizontal where you get three different producers designated by type. 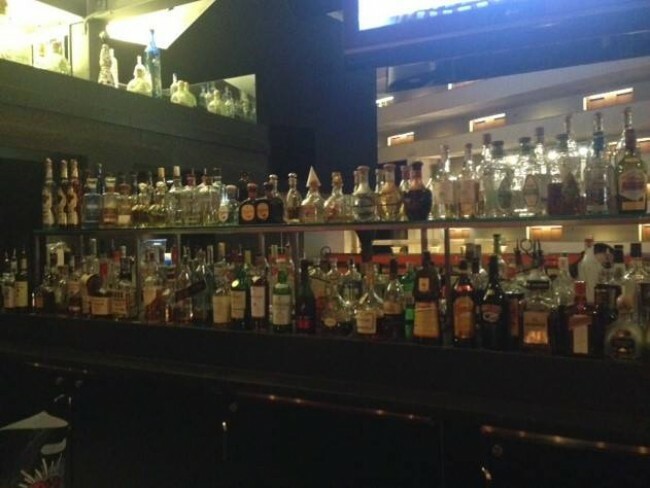 If you like variety in your tequila, along with some tacos, head to T&T at Luxor.